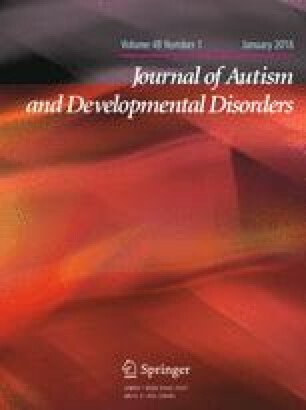 The present study examined the effects of a visual-based biofeedback training on improving balance challenges in autism spectrum disorder (ASD). Twenty-nine youth with ASD (7–17 years) completed an intensive 6-week biofeedback-based videogame balance training. Participants exhibited training-related balance improvements that significantly accounted for postural-sway improvements outside of training. Participants perceived the training as beneficial and enjoyable. Significant moderators of training included milder stereotyped and ritualistic behaviors and better starting balance. Neither IQ nor BMI moderated training. These results suggest that biofeedback-based balance training is associated with balance improvements in youth with ASD, most robustly in those with less severe repetitive behaviors and better starting balance. The training was perceived as motivating, further suggesting its efficacy and likelihood of use. The online version of this article (doi: 10.1007/s10803-017-3310-2) contains supplementary material, which is available to authorized users. This work was supported by the Brain and Behavior Research Foundation’s NARSAD Young Investigator Award [to BGT], the Hartwell Foundation’s Individual Biomedical Award [to BGT], the University of Wisconsin System’s WiSys Technology Foundation [to LM], and the Eunice Kennedy Shriver National Institute of Child Health and Human Development [P30 HD003352 and U54 HD090256 to the Waisman Center and T32 HD007489]. The content is solely the responsibility of the authors and does not necessarily represent the official views of the National Institute of Child Health & Development or the National Institutes of Health. We thank those at Prentice Technologies for designing the video game. We thank Sarah Crook, Nikki Erickson, Aubrey Fisher, Isabelle Gallagher, Robyn Geist, Larissa Hacker, Lauren Hoover, Sarah Jacquot, Jenna Lent, Kristin Lillie, Sagui Lutman, Nicole Marczak, Claire Melin, Molly Pearcy, Carli Peters, Kirstin Peters, Kailey Sabel, Sean Sekelsky, Elise Suttner, Josh Tarnoff, Desiree Taylor, Jake Tenaglia, David Turner, Amin Tmimi, and Catie Van Sloun for their contributions to this project. We sincerely thank all the families who spent the 6 weeks participating in this study. BGT conceived of the study. BGT, AHM, AE, and LAM designed the game and participated in the design of the study. BGT coordinated and drafted the manuscript. BGT, DD, AHM, and LAM participated in the design, analysis, and interpretation of the data. KM, OD, AG, and CE participated in the design and coordination of the study, performed the measurements, and assisted in drafting the manuscript. All authors read and approved the final manuscript. All procedures performed in studies involving human participants were in accordance with the ethical standards of the institutional and/or national research committee and with the 1964 Helsinki declaration and its later amendments or comparable ethical standards. This project was approved the University of Wisconsin-Madison Education and Social/Behavioral Science Institutional Review Board (protocol #2014-1248) and Health Sciences Institutional Review Board (protocol #1014-1499). R Core Team. (2015). R: A language and environment for statistical computing. Vienna: R Foundation for Statistical Computing. https://www.R-project.org/.